The Board of Control for Cricket in India (BCCI) recently announced its 15-man squad for the World Cup, to be held in England and Wales from May 30. While the core of the team that was expected to make the cut was retained, there were a few surprise picks and omissions. While Vijay Shankar was picked ahead of more experienced Ambati Rayudu for the No. 4 position, veteran Dinesh Karthik was chosen over energetic Rishabh Pant as the back-up wicket-keeper. However, in a relief for the duo, Rayudu and Pant have been named as standbys, in case someone gets injured before or midway during the event. However, ESPNcricinfo reports that they will not travel to the hosting nation until need be. Besides, Navdeep Saini has also been named the third standby. 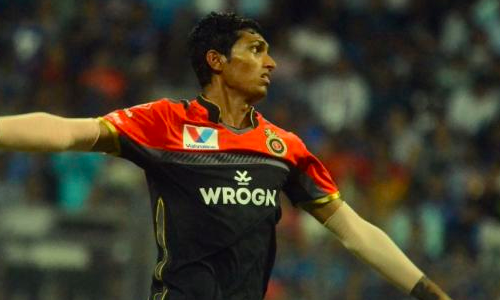 The fast bowler, who is currently plying his trade for Virat Kohli-led Royal Challengers Bangalore in the Indian Premier League, will travel along with the squad as he – apart from compatriots Avesh Khan, Deepak Chahar, Khaleel Ahmed – will be India’s net bowlers, the report added. India are scheduled to open their campaign against South Africa on June 5.